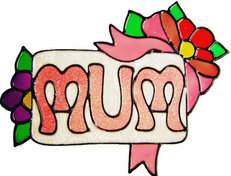 What better to show how much your Mum means to you at any time of the year! Can be used on a window or mirror - with matching lettering & ribbon. Choose the colour you require to make it personal to you.